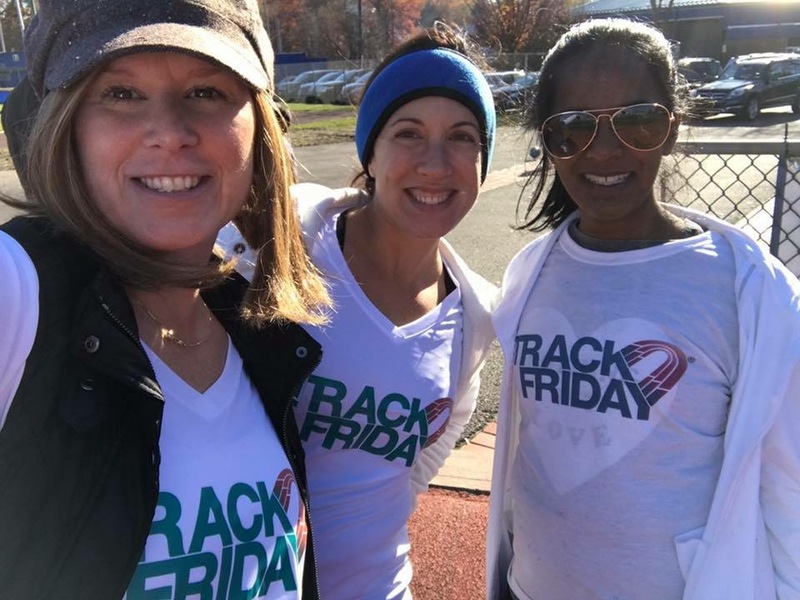 Cranford Track Friday – Let’s Meet Up and Make a Difference November 23! This Black Friday 2018, November 23, join the national movement to turn Black Friday into Track Friday! Cranford resident Eric Rubinson initially started a campaign six years ago to provide relief to the victims of Hurricane Sandy. Originally from Middletown, NJ, Eric realized that his hometown needed help and he was unable to physically get to them. He did what only he knew best – run for help…literally! He vowed to donate $5000 to Middletown’s local food bank and encouraged other friends and family members to run/walk with him on Black Friday to support this cause. That year, they ended up having crowds at six different tracks and collected over $22,000 in three weeks! 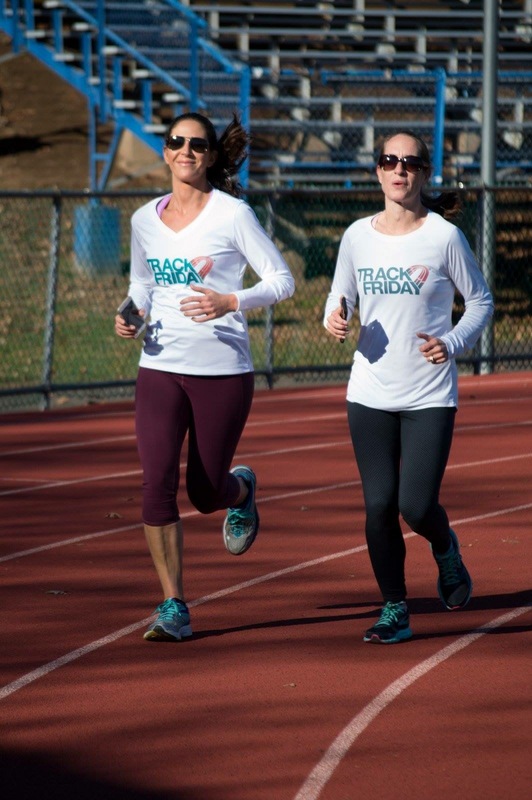 The concept of Track Friday has now gained quite a bit of momentum as more and more communities are finding out about this worthy event. 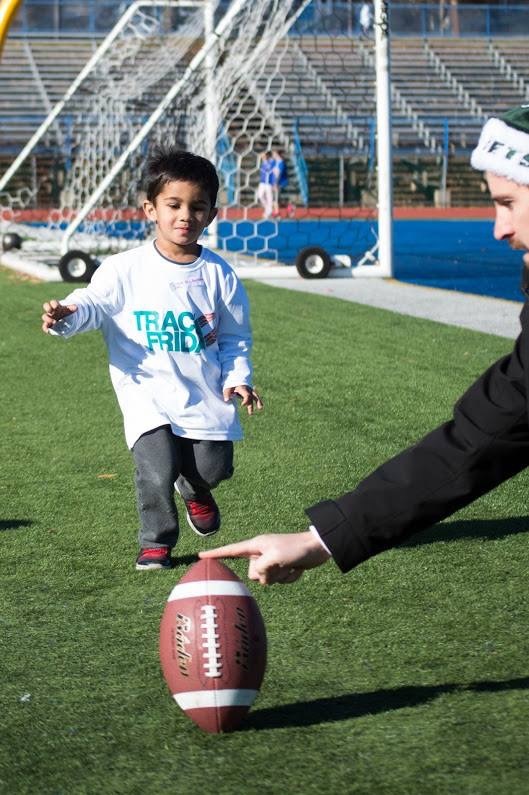 Since that initial effort in 2012 – the Track Friday team has raised over $250,000 for over 100 charities! We can’t find one good reason NOT to change the focus of this date to a community day where helping people and getting healthy is the purpose! So, join the movement to turn the day after Thanksgiving into a day of charity, community, and health! Teams are forming from Seattle, Washington to Highland Park, New Jersey! 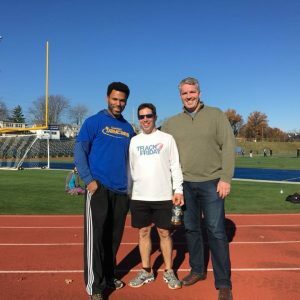 Eric Rubinson and Arthur Hearns of the Cranford Jaycees have made a major impact by bringing the Track Friday movement into the Cranford area. Last year was hugely successful and they are striving for even more support this year! In 2017, the Cranford Jaycees sent aid to the hurricane victims in Puerto Rico through the Hispanic Federation, Inc. and also provided new musical instruments to both OAS/HAS Middle Schools! 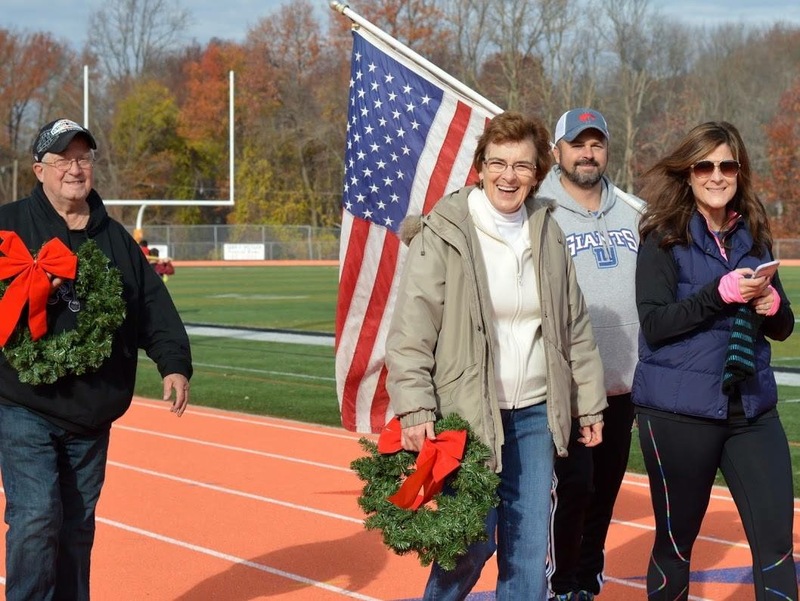 The focus for 2018 at Cranford Jaycees Track Friday 2018 is to “increase awareness for even more charities – and develop a community consciousness that focuses on collectively raising funds for charitable causes”. The Leaderboard is already impressive with donations going to organizations such as the YWCA of Eastern Union County, Action Against Autoimmune Diseases, and Helping Kids Fight Cancer! How can YOU get involved in the Cranford/Westfield area? First you need to head to the Cranford Track Friday website. 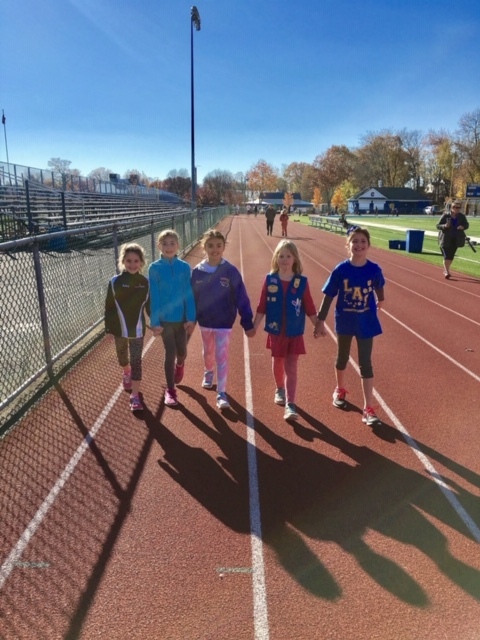 You can come down to the Ray White Track on Myrtle Ave in Cranford NJ to walk, run, or meet up with others from the local community who have come out in the spirit of charity and giving! The idea of track Friday is very simple. You don’t have to be an athlete or even in good shape! You can pick anywhere you’d like to walk or run – your local track, trail, or school parking lot. The possibilities are endless! This is a non-competitive event – there are no clocks! You can commit to 5 minutes or 5 hours. A participant can be a baby in a stroller, a toddler, a dog, or even a great-grandma. The point is that you can be anyone! Track 5 Coffee for Track Friday! 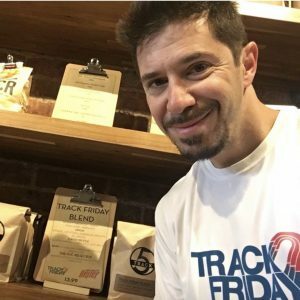 Thanks to Kevin, the fabulous owner of Track 5 Coffee, for coming up with a signature “Track Friday” coffee blend for this event. You can purchase a bag of this unique coffee at the store! Two dollars from each bag will go directly to Kevin’s favorite charity – New York City Relief Bus – bringing food and assistance to the homeless! 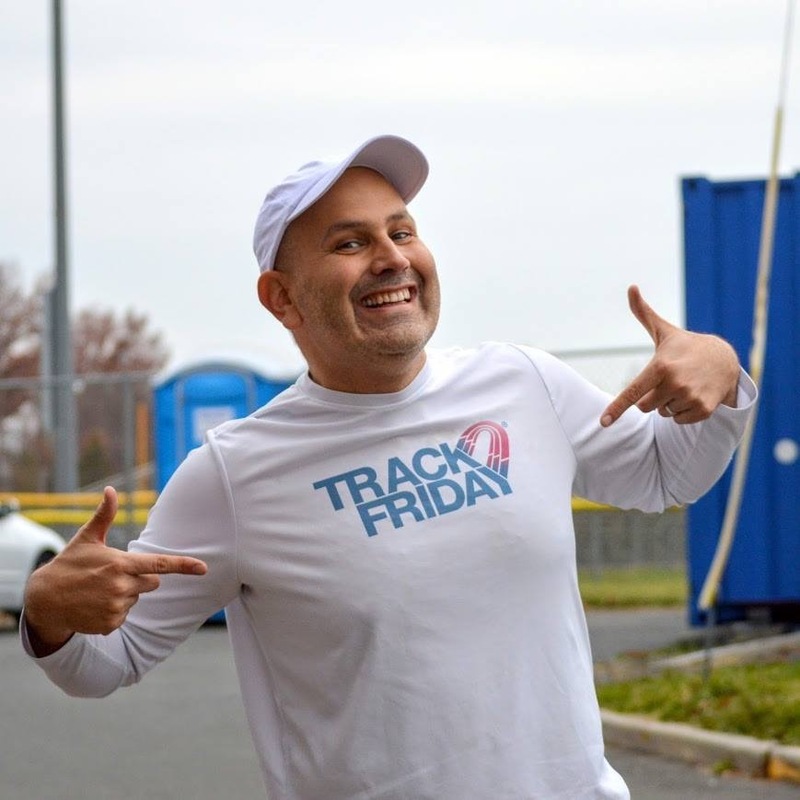 As you can see – the purpose of Track Friday is very easy and super fun! Before you head out to the stores on November 23 – consider carving out a small portion of your day and doing something healthy and helpful. It’s so easy to walk around the track once and donate to your favorite cause. Do something to make you feel good about yourself AND burn off a little Thanksgiving calories! Spread the word – get your families, friends, and co-workers involved! You can also follow the Cranford Track Friday team at Facebook at Cranford Jaycees Track Friday 2018 FB Page. Can’t wait to see everyone moving and making a difference on November 23!